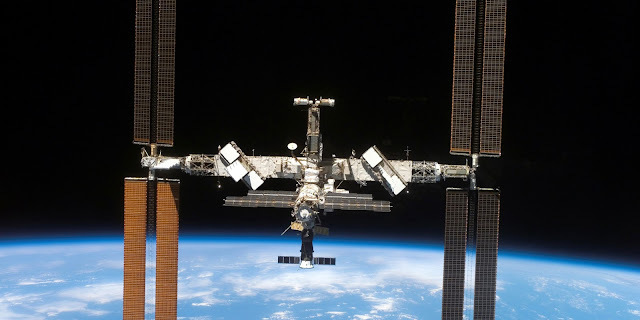 The International Space Station is a fascinating place to keep tabs on, from all the intricate mechanical upkeep to the comings and goings of the astronauts who man it. That in mind, when a Facebook Live video pops up alleging to show said astronauts ambling across the surface, it's kind of a big deal, certainly big enough to go viral. 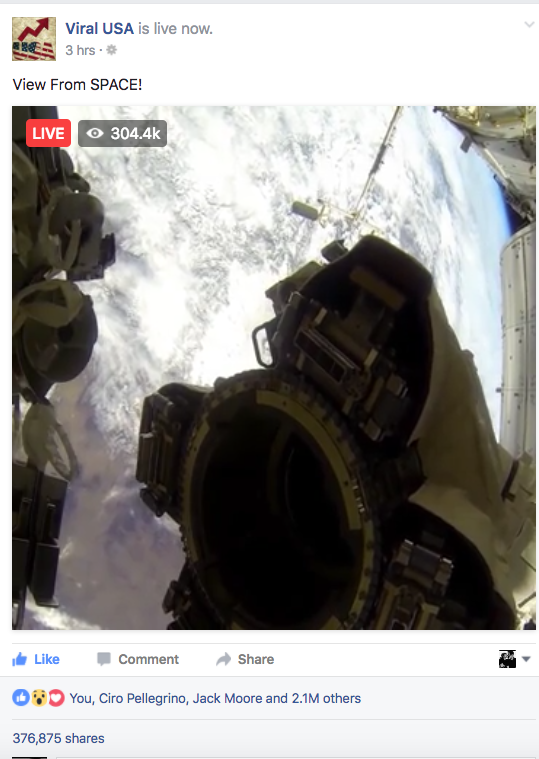 The video, supposedly showing a space walk across the surface of the station, pulled in more than 2 million likes, and got shared by Unilad, Viral USA and a number of other reputable online publications. The problem? It wasn't real, no actual space walk was being conducted and NASA had no affiliating whatsoever with the video on display. If such a thing were actually happening, it's a safe bet that NASA would have been actively promoting it, they don't leave this kind of thing open for leaking or any kind of outside distribution. Moreover, a cursory visit to the official ISS website during all this revealed that, in fact, nothing of the sort was actually going on. As it turned out, the footage had been recycled from a manned mission which took place some 3 years ago. Where exactly this rehashed footage came from originally remains unclear, but in any case, it was soon revealed as BS. Recycling old footage to pull in a few shares is nothing new, but rarely is it attempted in such a blatantly disprovable way, especially on a platform as public as Facebook live. Rest assured, the next time someone on the ISS actually does head out, it will be streamed, and it'll be real.